He is the newest and youngest pop music star. Who knew he was going to follow in his mother's footsteps. It is now clear that there's hot music talent hidden somewhere in Cruz. 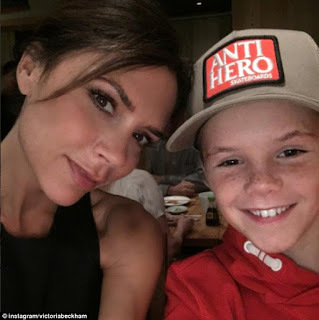 Singing sensation Cruz Beckham has signed with Justin Bieber's manager Scooter Braun, as he looks to begin a career in pop music. Already a social media star. The 11-year-old launched his Instagram account on Monday, overseen by talent manager and record label owner Braun, 35, and has already racked up 114,000 followers! That's a really impressive feat achieved in just four days. Powered by fame. 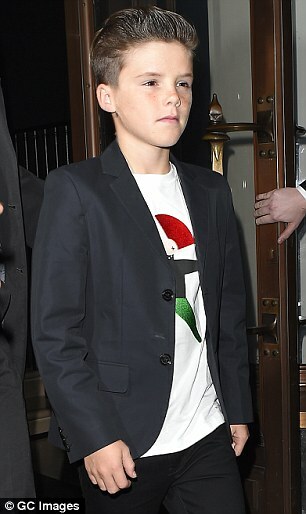 According to TMZ, Scooter is friends with Cruz's famous parents David and Victoria Beckham, and the pair trust he's the right man to nurture their son's talent. Check out more photos of the hot pop sensation. Viral video.The youngster's first post, which sees him performing a sweet song while making a beat with a glass and his hands, has already been watched 222,000 times. While a second clip of him singing the Faith Evans hook in Twista's Hope a capella also delighted viewers notching up 283,000 views. He then uploaded a snap of himself holding a skateboard, captioning the snap: 'Welcome to my new page. Something exciting to share with you all this week!'. Unsurprisingly, it generated thousands of 'likes' and even pledges of adoration, with one fan responding: 'A new Justin Bieber has risen.... such an angelic voice'. The manager with a sharp eye for talent. In 2006 Scooter scouted Baby singer Justin after watching his YouTube videos online. 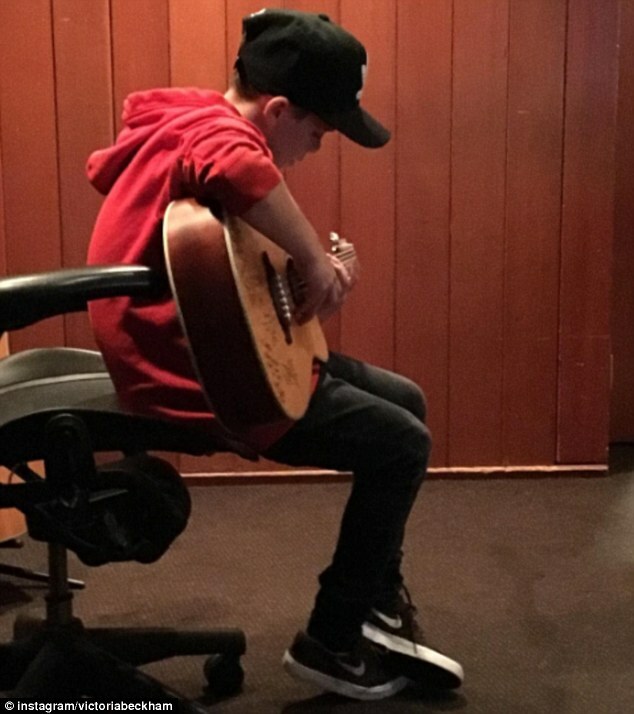 The manager, who owns two record labels - School Boy Records and Raymond-Braun Media Group (RBMG), flew Justin out to Atlanta for a sound test. How it began for beiber. Scooter's RBMG company, co-owned with R&B singer Usher, introduced Justin to music executive L.A. Reid, who eventually signed the singer with Island Def Jam Records. The pair share such a close bond that Justin even sang at Scooter's wedding to his South African-born wife Yael Cohen, 27, performing All You Need Is Love. 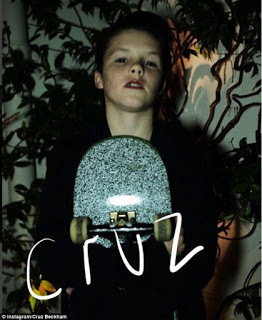 Dad David aroused suspicion that Cruz was recording his own music at the end of last month. Its all out in the open now. Rock on Cruz!